Even with the host of new credit card regulations that went into effect in February this year, you can still fall into credit card traps if you're not careful. But, thanks to a proposed new rule from the Federal Reserve, those traps could get less trickier. That's right. More consumer protections are on the way. The proposed rule, which could go into effect in August 2010, would protect consumers from unreasonable late payment and other penalty fees and require credit card companies to reconsider interest rate hikes. Announced in early March, the proposal must go through a public comment period before it's officially approved. • Prohibit credit card companies from charging late fees and other penalties that go beyond the dollar amount of the customer's mistake. For instance, if you're late making a $20 minimum payment, your credit card issuer could not charge a fee higher than $20. • Ban inactivity fees for not using your credit card. 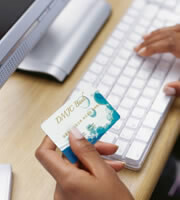 • Prevent credit card companies from charging multiple fees for one violation, such as a late payment. • Require credit card companies to tell you why they're increasing interest rates. • Require credit card companies to re-evaluate any rate hikes they made since January 1, 2009. Card issuers would have to examine whether the reasons behind the increases have changed and reduce the rates where appropriate. These new provisions stem from the Credit Card Accountability and Disclosure Act, signed into law in May 2009, as did other regulations that went into effect in August 2009 and in February this year, such as the ban on arbitrary interest rate hikes on existing balances. The law sets the basic parameters, and the Federal Reserve crafts the nitty-gritty rules. Although the newest proposed changes could help you, bear in mind they won't take effect until August 2010 if they're approved. That means you can still get charged big penalties, even for simply maintaining an inactive account. The best way to avoid credit card tricks? Stay abreast of credit card news, read your credit card agreement, and pay attention to all the notices your credit card company sends you. Pay your bills on time, and if you want to keep an account active, use your credit card to make at least one small purchase a month. 0 Responses to "More New Credit Card Rules Coming in August 2010"